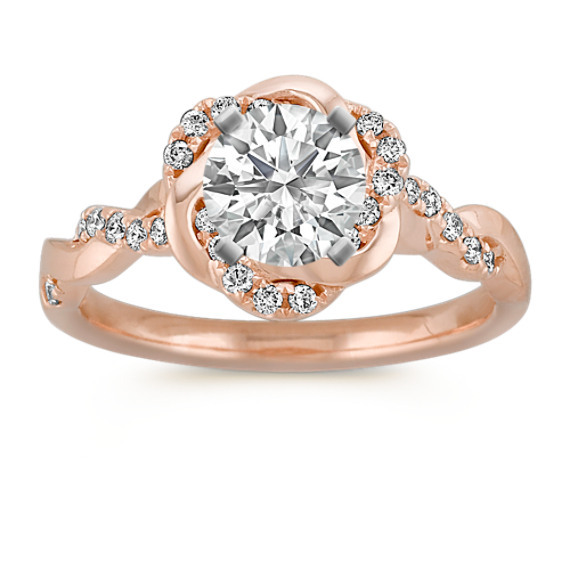 Infinity Rose Gold Engagement Ring with Diamond Twist Halo | Shane Co. This spectacular infinity halo engagement ring has a unique woven design. Twenty-seven round pavé-set diamonds, at approximately .20 carat total weight, will add sparkle to the center diamond of your choice at approximately .75 carat.